A couple of months ago my youngest son decided he wanted some Converse trainers. As I had a pair of barely worn black high tops and we are both the same size, he decided to nab mine!! As a Converse convert, he fell in love with the Superman design and so I treated him to them last month. 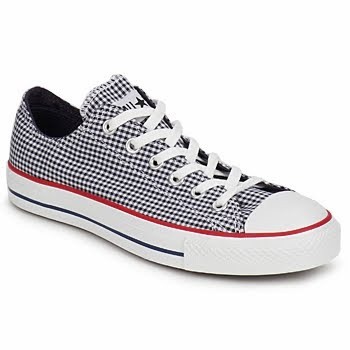 Converse shoes are really a fabulous choice for young or old, women or men and are always in style for a casual chic look. 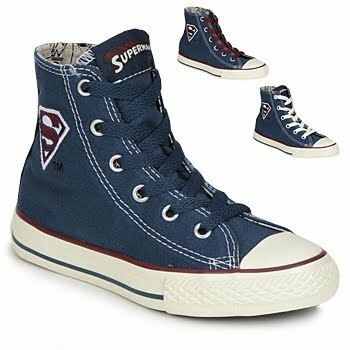 Here are my favourite styles available at Spartoo, the only difficulty is they have such a wide variety of low, mid or high tops in different designs-what to choose?? How do you wear trainers-as part of a casual style within your outfit or are they purely for the gym or working out? 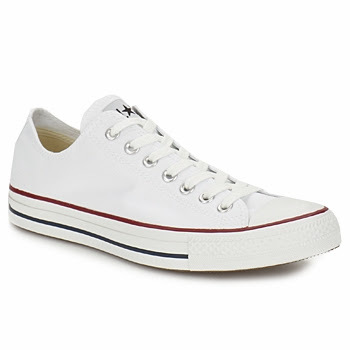 Would a pair of Converses get your vote this Summer? Sharon as you saw my photos from last week; I wore my converse tennis shoes almost every day. I adore converse, they are so stylish and so comfortable! I own many pair and I'm always in the look out for more, specially if I can thrift them. I actually don't wear trainers at all :) But I do own a pair of H&M trainers, they do have a ditsy flower pattern (very hippie ;) ) and I wear them when I go out for sports. I love Converse, wore them throughout the 1980's but find them impossible to walk in these days as they are just too flat. When I was a kid these type of shoes were mass produced by the Chinese and sold very cheaply in markets. Everybody had a pair and they were used for just about anything..... then they became such mundane shoes that they lost their appeal.... until suddenly Converse shoes came along, in different colours and fancy prices. I would wear them but they are flat shoes which are no good for my back....! 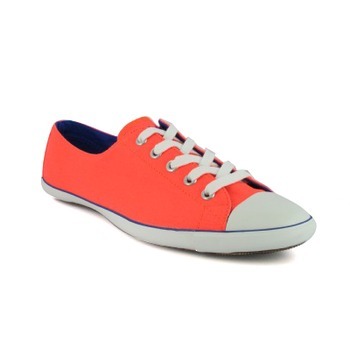 I love bright, quirky converse like those Superman ones. My favourites are imitation, covered solidly in bright blue glitter: I'm going to wear them with red, white and blue clothes tomorrow for the RW! Converse are the only sneakers I wear outside of the gym, though to be honest, I don't really find them all that comfortable anymore (as a teen I didn't have problems). I still own a pair of classic grey ones, which I wear with jeans for a more casual look. It's also the ONLY sneaker that Parisian women find acceptable (any other trainer will immediately out you as a tourist). I'm a converse girl through and through. I've worn them since I was 15 and they are my go to shoes if I want a pair to last me through the day- especially when I'm out for the entire day or travelling! The Superman ones are so cute! My Little Man always Converse, I dread to think how many pairs he has had since tiny and all my daugters own pairs too! I would love the low white pair myself but always think I am too old! 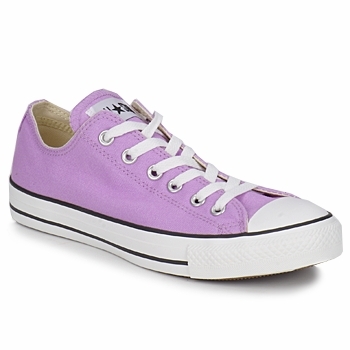 I adore Converse but have yet to buy a pair, bizarrely enough. They go for really cheap over here. I'd like a silver pair, but those are not easy to find. Barring that, I'm going to get a red pair one of these days. 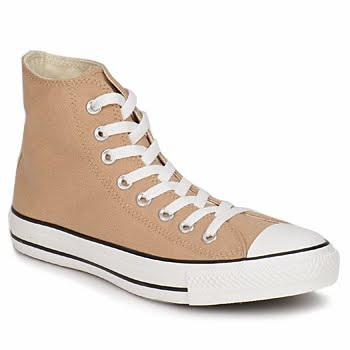 I love Converse as well, I have 3 pairs and I think they go with so many pieces of clothing. Great choice, really!